Satoru Shibata, Nintendo of Europe President, recently celebrated his birthday with an online tournament in Mario Kart 8, which seems like a perfect way to enjoy the occasion; Nintendo UK has taken the liberty of tweeting the video of some Mario Kart TV highlights. It was a high profile MK8 party, too, with some big players from Nintendo joining the NoE boss. The line-up included Eiji Aonuma, Takashi Tezuka, Hideki Konno and even Marty (who represents Nintendo of Europe on Miiverse). You can see Shibata-san's moment of glory in the video below. Have you gathered friends in Mario Kart 8 to celebrate a birthday? Will you be inviting Eiji Aonuma to your next event? Let us know. Hhahah Takashi Tezuka in last place. Wowzers! So many Nintendo workers all in the one race! Poor Tezuka though. Congratulations to Satoru Shibata for the win & happy birthday! Were the 320 recently fired people invited? Might be just me but seeing an all Mii race like that just kinda saddens me. Seems more like Mii Kart with Mario cameos like that. But oh well. Still fun to see! Congrats, Mr Shibata! When will we see you again in a Nintendo Direct? They let him win so they don't get fired. Just kidding, xD! It's nice to see staff playing Mario Kart 8. Hey Robert Downer Jr. was invited. Must have been a very fun birthday! @Yosher I feel exactly the same way, hence why I'm glad Miis are banned from Smash online. Aonuma in 8th place, for shame!! @Grumblevolcano I don't think they are only the custom movesets are. @unrandomsam I thought it was banned because of offensive Miis? Wait- do America not have Marty then?!? I seriously can't imagine a miiverse without Marty! 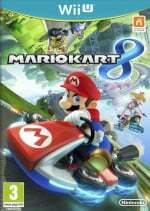 I think I'll be playing a bit of Mario Kart 8 on my Birthday when my cousins come round in a few days. I've only managed to show them half the game so far as they haven't been round much. @Grumblevolcano I haven't heard anything about that. If it was because of offensive mii's I would have thought they would have removed it from MK8 as well.